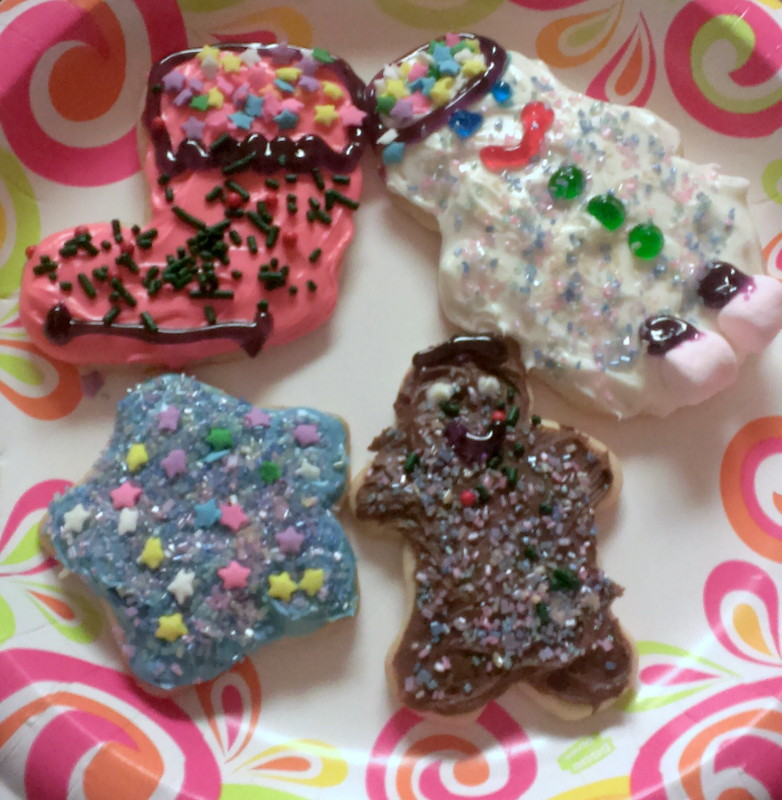 Rhema loved making cookies with her Aunts, Sanako and momma! She loved sprinkling flour, ie. “snow”, on her cookie dough! Even her new Loopy Doll came and helped. 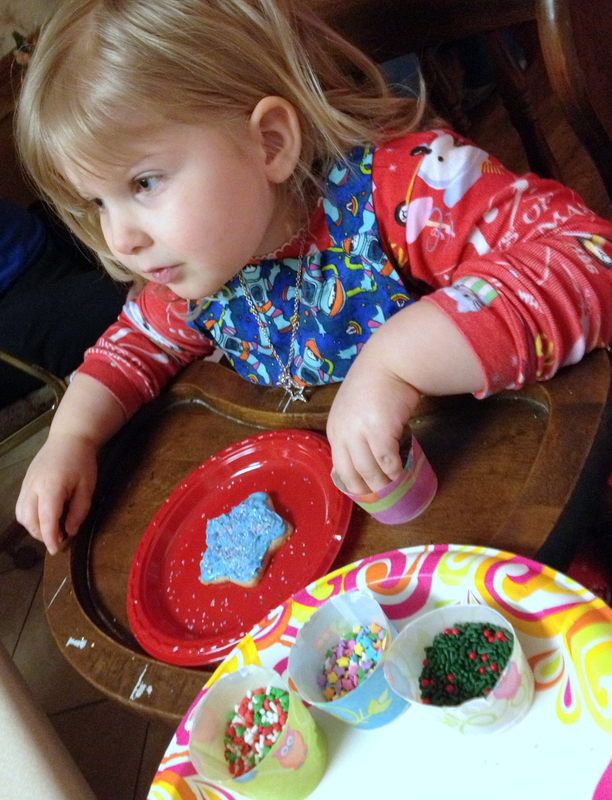 Rhema’s Cookie Philosophy: “the more sprinkles, the better the cookie!” LOL! Rhema picked out the frosting colors and I would put it on for her; then together we would do sprinkles and other decorations. We did a blue star and a chocolate ginger-bread man. 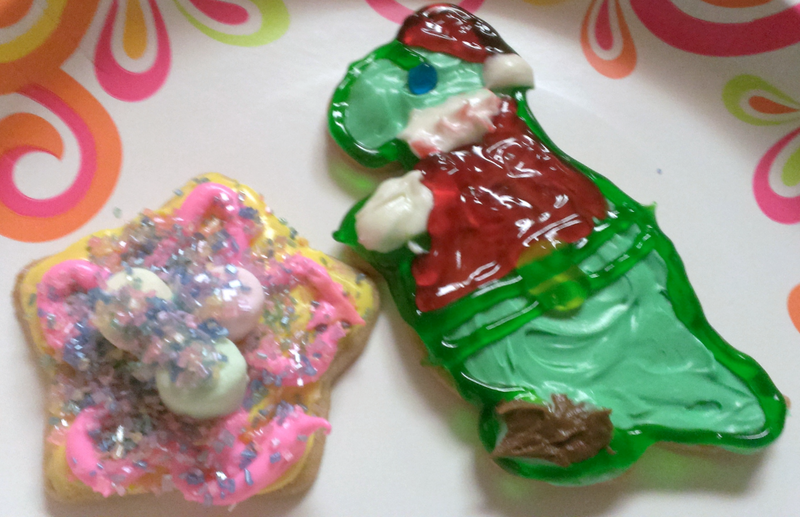 The top two are related to skating: the stocking became an ice-skating boot and the snowman is on marsh mellow roller skates. 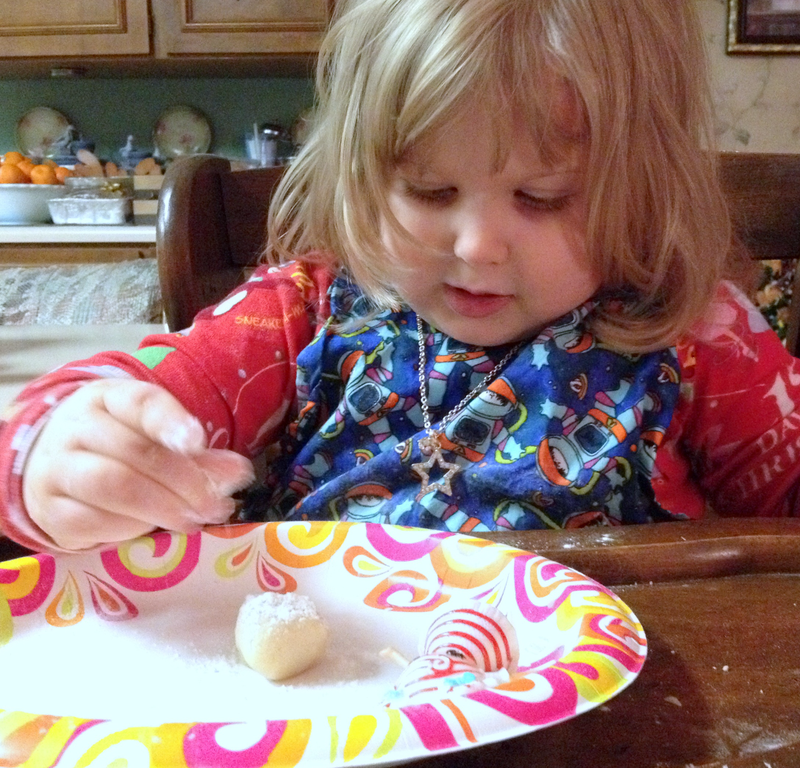 She did a double-decker star cookie with her favorite thing–marsh mellows! And yes, that is a green dinosaur! Rhema wanted to turn it into a “Santa” dinosaur complete with boots, beard, hat and belt! She is very creative and always challenges momma’s artistic abilities. LOL!